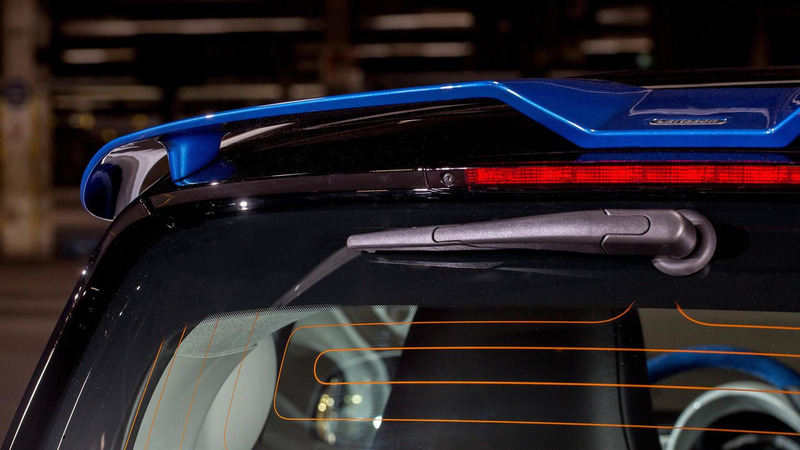 It's their first take on the third-gen ForTwo which has gained a variety of cosmetic tweaks starting on the outside where there are custom front & rear spoilers along with a restyled rear apron with cutouts to make room for the quad pipes part of Carlsson’s newly developed sports exhaust system. The ForTwo has ditched the stock wheels to make room for the tuner’s 17-inch DS alloys with polished spokes while the lowering springs have brought the city car closer to the road by a few millimeters. Stepping inside the cabin, the Smart ForTwo has received an aluminum pedal set, leather & Alcantara steering wheel, two-tone leather upholstery, custom floor mats and other minor bits and pieces to spice up an already funky cabin. There aren’t any changes in the engine department so you will have to wait until the Brabus version will be out likely later this year with an upgraded 0.9 TCe three-cylinder turbocharged gasoline engine developing somewhere in the region of 120 HP (88 kW), up by 30 HP (22 kW) compared to the series version. 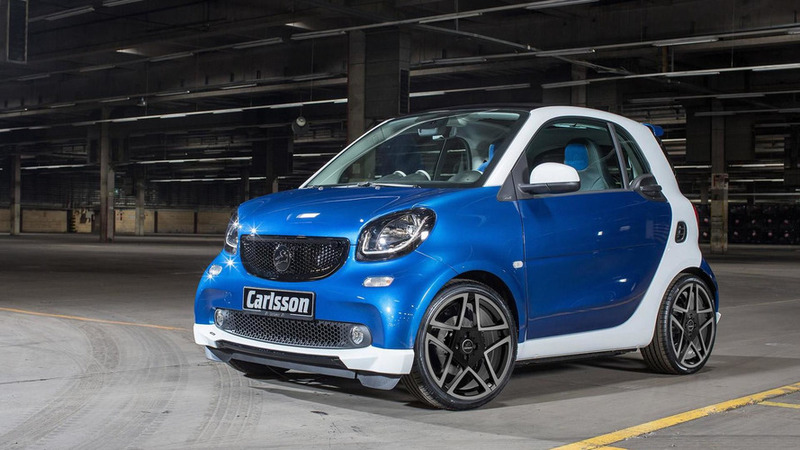 Carlsson will bring their modified Smart ForTwo to next week's Geneva Motor Show.